Club Penguin Cheats by Mimo777 Club Penguin Cheats by Mimo777: Mimo is Having a Rockin Party on Webosaurs! YES! 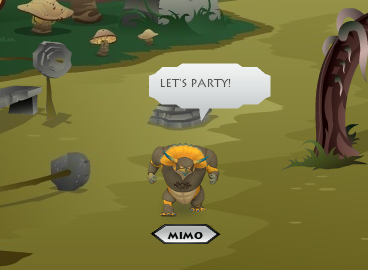 I've been playing Webosaurs a lot lately so I decided to have another HUGE Webosaurs Party! Here's the cool thing, you can have UNLIMITED BUDDIES ON WEBOSAURS! So I will add you at the party! This party is gonna be HUGE. 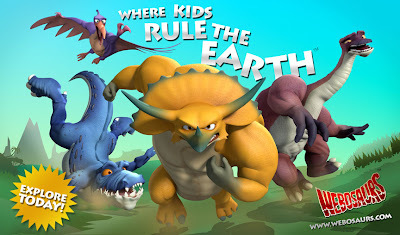 Even Webosaurs posted it on their blog! - Find the Scrolls to unlock more areas of the game! - Sweet Videos in the theater with Nigel Marvin! - Mods will take you on a Scroll hunt! So CLICK HERE to go to Webosaurs now to register! I also have coin codes for 1,000 free coins for a new free registration! Tweet me and I'll give you one! Check it out! Try to find me! Then let's party Saturday! AWESOME!!! im there! cant miss it! Please dude an Australian Party! Lil Maney said....I cant find you. Im sorry but the party is over =[ Catch him this Saturday on Webosaurs.com Also please dont write Lil Maney CPG MOD in your name if your not moderation...Just a heads up! Hey! Hope to see you at the party. don't put CPG MOD in your name at the end though unless you are modding. Hey dude don't get me wrong but, Mimo can't change the time just because one person can't go. It wouldn't be fair to others. JunieJunior said... Can you change the time! Im sorry but Mimo cannot change the time for 1 person. No matter how much I want the time to change (It will be 3am for me) Mimo cannot change it. 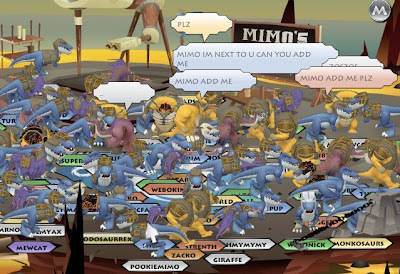 I see people wanting to sign up thats cool =] Before you do follow Mimo on Twitter and tell him to give yo a code for 1000 coins on webosaurs. I was iceman4899 at the club penguin party. already following you but I don't know how to exchange tweets. my twitter account is shapen360. Anonymous said... How do I twitter to you? Mimo may even reply to you! You should have another song contest! Mimo,can you make time in Australia a bit better? I realy want to go one of your parties. Please dude an Australian party"
Hey mimo,have you seen the new club penguin cards?i got three packets of them yesterday and they've got new online cards that are really cool!check it out. where's the soggy bottom swamp? oh well I guess I have to find it. I was at ur club penguin party it rocked! OMG! I hate it when Mimo777 does this with parties cause I NEVER get it!!! it's 10:00am for me and since it's on saturday, i'm gonna be sleeping probably so i won't be able to make it. all u ppl that are going, have fun!! I'm probably coming, but I'm still very annoyed. I live in the UK, and we have the party at the latest time. How about you add 6 hours onto the next party, so that Australia can go, and the U.K. won't mind, we go to all the rest. Only the U.K. will be effected. PLEASE! Just to give Australia a chance to go to some party, and they won't always feel left out. What does everyone think? Reply! Check the time. He might have been there before but had already left when you got there. Actually Stickers, He wouldn't change it just for (as you said) But he could chenge it from 3am to 9am for all Australia. The only people it would affect are us, the U.K. (I'm actually Irish but its all the same). What do you think of that? Yeah but he said it was full so he went to sabertooth. Thanks for yor support savvy =]! Please Mimo! !Party for down under! um you know the aussie time is 3.00 and 9.00, well um can you tell me what's nz time. Hey Mimo I just read the newspaper in CP. Yu know when Sensei says, "Perhaps someone else, Can give you answers. Maybe a science master..." Do you think he means Gary the gadget guy? Maybe he can tell us whats going on with the volcano. Beumont said...Whats the time for New Zeland? Well im in Australia and New Zealand is right next to me so I'd say 4am or 5am Hope you can make it! Hey Mimo I'll be right back in about an hour and a half! Gotta go to soccer practice! It's located on your destination map! Just collect all the scrolls to unlock this area! Maybe next time. It stinks for the aussies to wake up in early daylight. Sweet! I need to make a webosuars account! P.S. On Club Penguin there's another surf bord by the little hut thing ;) It's the silver bord. How do I twitter to you? where is soggy bottom swamp, it said i unlokced it but i cant find it! brinkka2011 says: Wow, superb blog layout! How long have you been blogging for? you make blogging look easy. The overall look of your website is magnificent, as well as the content!